Giving usable food items to those in our community who are less fortunate is a humanitarian way to cut back on food waste. Find your closest donation location in the “Where to go” section at the bottom of the page. The County of Santa Barbara partners with Santa Barbara County Food Rescue, which is a collaborative effort to connect food donations with delivery to needy recipients. Click here for more info. A federal law, the Bill Emerson Good Samaritan Food Donation Act, protects good faith donors from civil and criminal liability if a product later causes harm to its recipient. It’s designed to encourage donations of food and grocery products to non-profit organizations, such as homeless shelters, soup kitchens, social service organizations, and churches for distribution to needy individuals. Under Assembly Bill 152, a “qualified taxpayer” who donates fresh fruits or vegetables to a food bank in California may receive a tax credit up to 10%. Also, under Section 170e3 of the Internal Revenue Code, an enhanced tax deduction is available to businesses that donate wholesome food to 501(c)3 nonprofit organizations that serve the poor and needy. Households that have five or more fruit trees can contact the Foodbank of Santa Barbara County to have their fruit harvested. Residents with fewer than five trees are encouraged to pick the ripe fruit and bring it to the Food Bank themselves. Contact the Food Bank if you need to borrow harvesting tools. 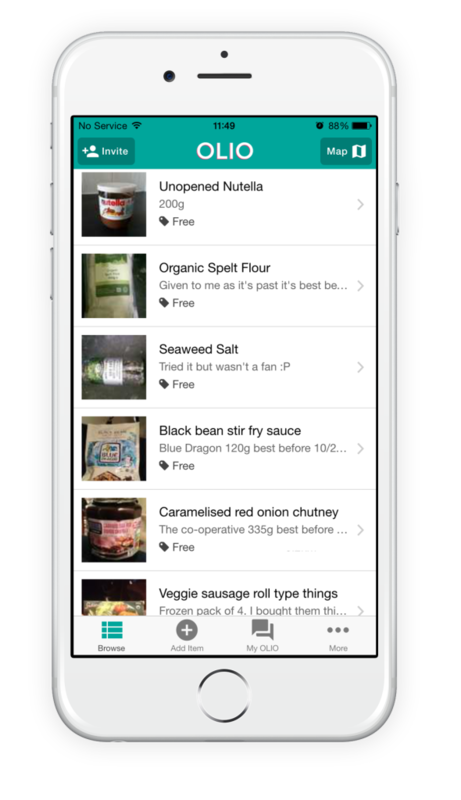 You can also download a new app called “OLIO” to share your surplus or unwanted food with neighbors – think unopened yogurts of a flavor you thought you would like but discovered you didn’t or excess baked goods that your family won’t be able to eat solo. Another option for preventing/reducing food waste is to donate food scraps to local animal organizations. BUNS (Bunnies Urgently Needing Shelter) accepts fresh greens and vegetables, and Lil’ Orphan Hammies accepts fresh produce and bread products. The Santa Barbara Zoo also accepts edible fruits and vegetables (such as leftover produce that residents have grown at home) and organic, pesticide-free tree trimmings and branches to feed to the Zoo’s animals. Download their Plant and Tree Donation Flyer here or their Produce Donation Flyer here, or just click on the flyers below. For additional tips on reducing food waste, please download our new Food Forward booklet.